Do I need to delete a specific cookie? You may have read my earlier post Add to Cart doesn’t work on Amazon… Help! where I explained how to get Amazon to work right again after something changed on their end. 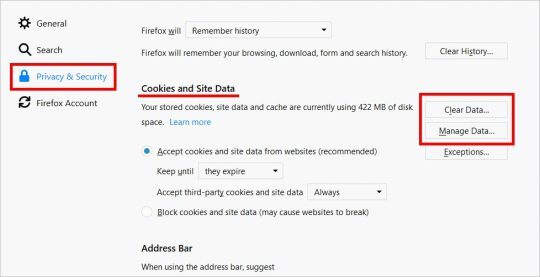 Cookies typically store information – such as a secret code – that keeps you logged in to web sites. 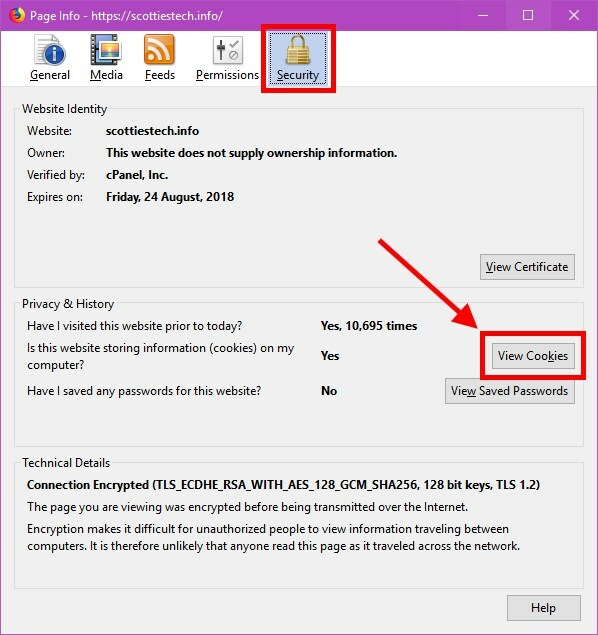 They can also store information related to things like shopping carts, ads, etc. So, if a site isn’t working right or you can’t log in for example, the first thing to try is reloading the page. 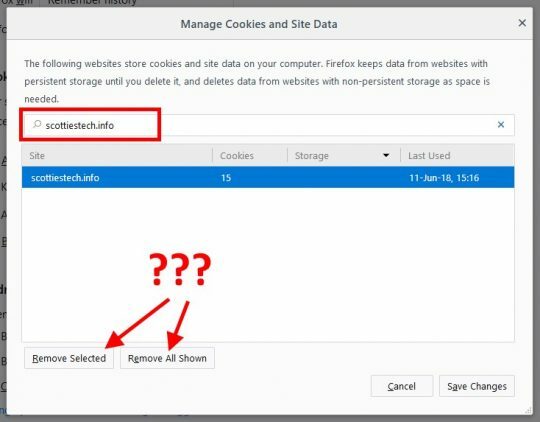 If that doesn’t do it, delete all cookies for that site, reload, and try again. Oops! 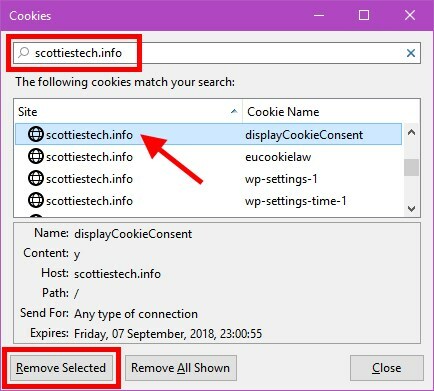 You can only remove all the cookies for a given web site (like scottiestech.info). Okay, technically this isn’t a new way. 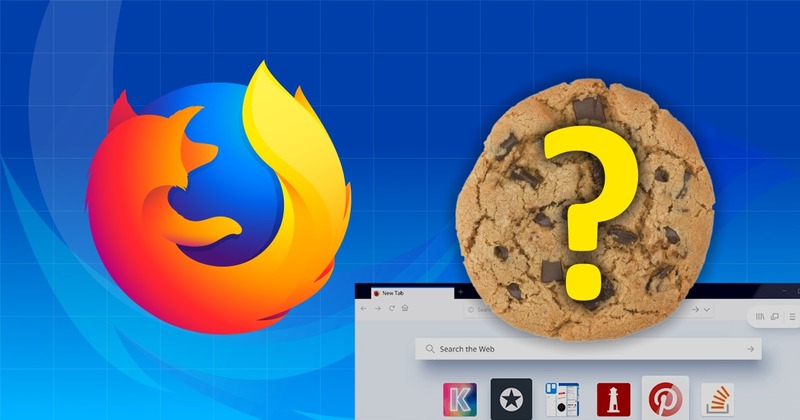 Things have always worked this way in Firefox. 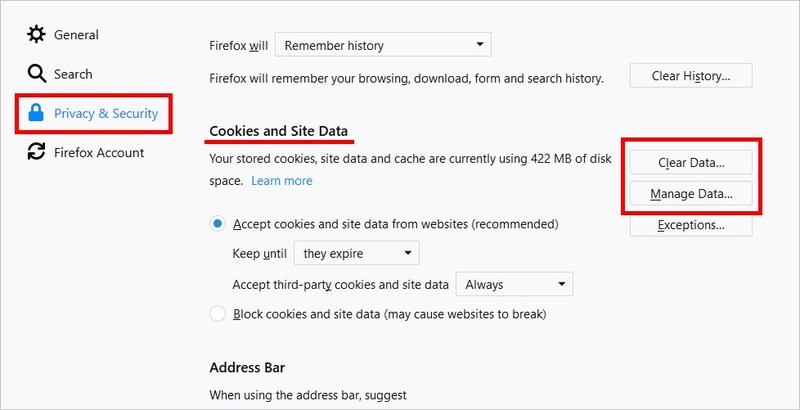 There were actually 2 ways to remove individual cookies: via Privacy & Security, or the way I’m about to show you. The problem with this second way is that it’s far less intuitive and involves a lot more clicking – which is the annoying part. 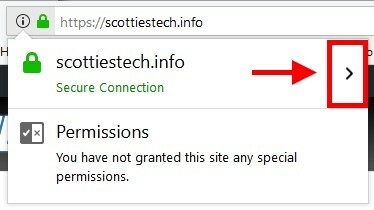 The current website should be present in the search bar, et voila! 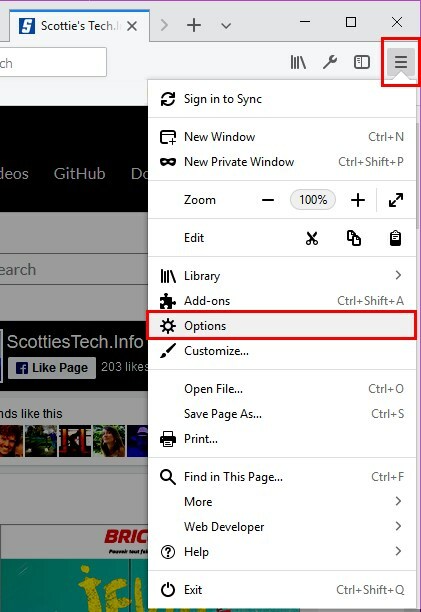 But it’s still far less intuitive since most users never have much reason to click the info button in the address bar – but everybody knows where the Options menu is! 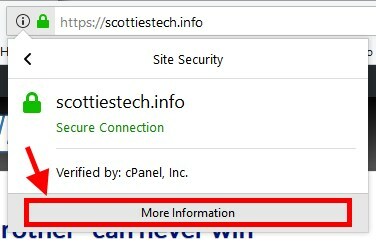 Didn’t know that and thank you for sharing Scottie.